PLATH Group – Intelligence Solutions. Die PLATH Group ist ein leistungsfähiger Verbund mittelständischer Unternehmen, mit Schwerpunkt in der Kommunikationsaufklärung. Sie umfasst die Fernmeldeaufklärung (COMINT), elektronische Kampfführung (EW) und automatisierte Informationsauswertung sowie das Frequenzmanagement. Die PLATH Group beherrscht den gesamten Verarbeitungsprozess der Kommunikationsüberwachung und -aufklärung, von der Erfassung über die Signalanalyse bis hin zur Auswertung für Gegenmaßnahmen. Wir, die PLATH EFT GmbH, beziehen hieraus und aus der Luftfahrtindustrie das Know-how für hoch qualifizierte Entwicklung und Fertigung von elektronischen Baugruppen, Geräten und Systemen – mit einem Höchstmaß an Sicherheit und Zuverlässigkeit, auch für andere Kunden und Branchen mit einem ebensolchen Qualitätsbedarf. PLATH GmbH is an internationally operating enterprise and the headquarters of the PLATH Group. It offers more than 60 years of experience in the development of solutions for Communications Intelligence, Electronic Support Measures as well as Intelligence Collection Management. 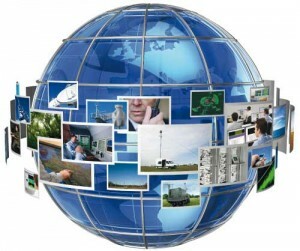 PLATH AG provides customer-specific or turnkey solutions for Communications Intelligence, Electronic Support Measures, Intelligence Collection Management and Jamming, supporting the customer in the preservation of internal and external security, both in the civil and military sectors. PLATH EFT GmbH offers more than 50 years of experience in the electromechanical and electronic manufacturing of parts, products and systems. With high-class industrial electronics it supplies different branches, e.g. defence, aerospace, high frequency and measurement engineering as well as medical market. Nexa Technologies is a French IT engineering company specialized in security solutions. After a spin-off of Bull in 2012, the company offers an experience of more than 10 years in the field of the IT security. Nexa Technologies is divided into three departments: Cyber defense, lawful interception and digital forensic solutions. PROCITEC GmbH specialises in the development of software products and systems in the fields of communications engineering and information technology, particularly used in detecting and processing civilian and military radio signals. PROCITEC offers a multitude of services in the areas of digital signal processing and information technology. innoSysTec GmbH is a reliable supplier of system software in the field of radio reconnaissance, long-distance reconnaissance and intelligence reconnaissance. It offers solutions for database-supported information systems for digital recording and evaluation and is engaged in the development of innovative software applications.